METLook is able to handle the different user format distribution for EUMETSAT's Meteosat programs (MTP, MSG) as OpenMTP rectified images and MSG native or BSQ Level 1.5 format. 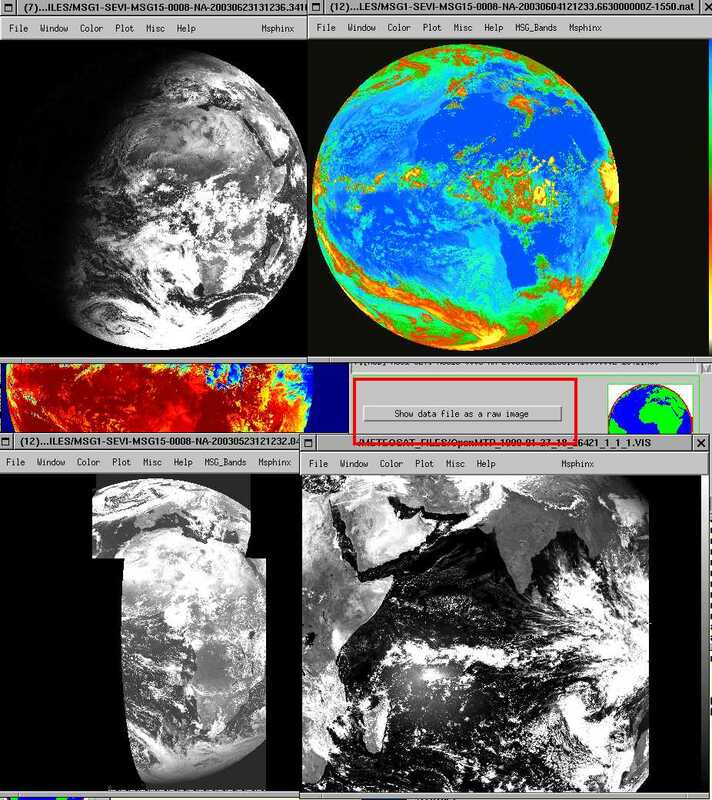 This software is a first step to visualize METEOSAT products. Its very simple C and XWindows architecture allows the developpers to add any user useful adding or remark. Inclusion of physical methods to retrieve aerosol properties, to compare directly with AERONET network database results. Une documentation de METLook est disponible sur la page suivante. Une version web de Msixs est disponible à cette adresse.